Arponen V. P. J., 2018. The Capability Approach and Rebellion in Modern and Premodern Contexts. In Rebellion and Inequality in Archaeology. Hansen, S., Mueller, J. (eds.). Bonn: Habelt. Göhring A., Mauder M., Vohberger M., Nehlich O., Hilberg V., Kröger P., Grupe G., von Carnap-Bornheim C., 2018: Palaeobiodiversity research based on stable isotopes: Correction of the sea spray effect on bone apatite δ13C and δ18O by Gaussian Mixture Model clustering, Journal of Palaeogeography, Palaeoclimatology, Palaeoecology 490, 673–686. Filatova S., Gissel C., Filipović D., Kirleis W., 2018: The plant economy at the Bronze Age site of Kakucs-Turján: first archaeobotanical results, in Jaeger M., Kulscár G., Taylor N., Staniuk R. (eds. ), Kakucs-Turján. A Middle Bronze Age multi-layered fortified settlement in Central Hungary Studien zur Archäologie in Ostmitteleuropa, 18, 175-187. Dr. Rudolf Habelt GmbH, Bonn. Hartz S., Müller J., 2018: Einfach nur zwei große Töpfe? Zur Bedeutung zweier »Riesenbecher« aus Ostholstein. In: Nachrichten aus Schleswig-Holstein 2017, 23, 30–37. Hartz S., Müller J., 2018: Spätneolithische Transformationsprozesse: Die Bedeutung von Quern-Neukirchen LA 28 (Tegelbarg) für die Rekonstruktion einer Übergangszeit, Offa. Berichte und Mitteilungen zur Urgeschichte, Frühgeschichte 71/72, 149–154. Hänsel M, Quaas M.F., 2018: Intertemporal Distribution, Sufficiency, and the Social Cost of Carbon. Ecological Economics 146, 520–535. 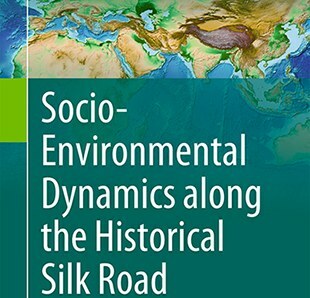 Hermes T.R., Frachetti M.D., Bullion E.A., Maksudov F., Mustafokulov S., Makarewicz C.A., 2018: Urban and nomadic isotopic niches reveal dietary connectivities along Central Asia’s Silk Roads, Nature Scientific Reports, Article number: 22995. doi: 10.1038/srep 54888. Jaeger M., Staniuk R., Müller J., Kulsár G., Taylor N., 2018: History of the Bronze Age Habitation, in Jaeger M., Kulscár G.,Taylor N., Staniuk R. (eds. ), Kakucs-Turján. 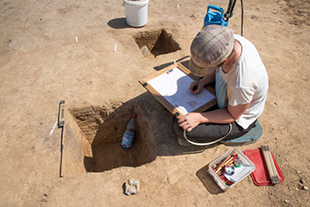 A Middle Bronze Age multi-layered fortified settlement in Central Hungary. Studien zur Archäologie in Ostmitteleuropa, 18, Dr. Rudolf Habelt GmbH, Bonn, 97-118. 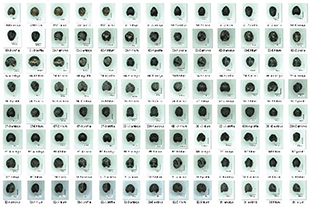 Kneisel J., Brinkmann J., Corradini E., Erkul E., Feeser I., Panning D., Pickartz N., Rabbel W., Schaefer S., Stümpels, H., 2018: Mang de Bargen bei Bornhöved - Kleine Region, große Fragen. Archäologische Nachrichten aus Schleswig Holstein 24, 48-56. Mathieson I., Krause-Kyora B., Reich D., 2018: The genomic history of southeastern Europe. Nature 555, 197-203. doi: 10.1038/nature25778. Kropp Y.O., Thalheim. B., 2018: Deep model guided data analysis, in Barbosa S.D.J., Filipe J., Kotenko I., Sivalingam K.M., Washio T., Yuan J., Zhou L. (eds. ), Communications in Computer and Information Science. Springer Verlag. Makarewicz C.A., 2018: Stable isotopes in pastoralist archaeology as indicators of diet, mobility, and animal husbandry practices, in Ventresca Miller A.R., Makarewicz C.A. (eds. ), Isotopic Investigations of Pastoralism in Prehistory, Oxon, Routledge, 141–158. Müller J., Hofmann R., Ohlrau R., Shatilo M., 2018: The social constitution and political organisation of Triolye mega-sites: hierarchy and balance, in H. Meller, D. Gronenborn, R. Risch (eds. 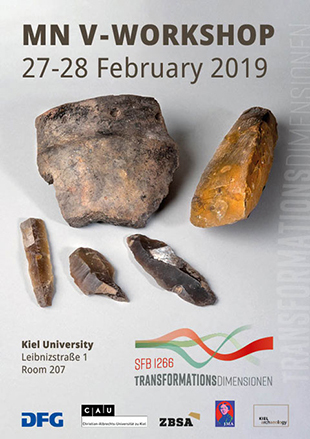 ), Surplus without the state - political forms in Prehistory ; 10th Archaeological Conference of Central Germany October 19-21, 2017 in Halle (Saale). Tagungen des Landesmuseums für Vorgeschichte Halle, 18, 247-262. Noack F., Riekhof M.C., Quaas M.F., 2018: Development in a Dual Economy: The Importance of Resource-Use Regulation. Journal of the Association of Environmental and Resource Economists 5 (1), 233–263. Ricci A., D´Anna M.B., Lawrence D., Helwing B., Aliyev T., 2018, Human mobility and early sedentism. The Late Neolithic (mid‐sixth millennium BC) landscapes of south‐western Azerbaijan, Antiquity 92/366: 1445-1461. M. Wieckowska-Lüth, S. Solheim, A. Schülke, W. Kirleis, 2018: Towards a refined understanding of the use of coastal zones in the Mesolithic: New investigations on human–environment interactions in Telemark, southeastern Norway, Journal of Archaeological Science: Reports 17, 839-851. doi:10.1016/j.jasrep.2017.12.045. Haug A., Käppel L., Müller J. (eds.) 2018: Past Landscapes, Sidestone Press, Leiden. Bátora J., Furholt M., Rassmann K., Tóth P., 2017: Výskum ohradeného sídliska z mladšej doby kamennej vo Vrábľoch (Grabung einer umfassten Siedlung aus der Jungsteinzeit in Vráble). Arch. Výskumy Nálezy Slovensku 2012, 17–19. Assefa E., Bork H.-R., 2017: Indigenous resource management practices in the Gamo Highland of Ethiopia: challenges and prospects for sustainable resource management, Sustainability Science 2 (5), 695–709. Dal Corso M., Nicosia C., Balista C., Cupito M., Dalla Longa E., Leonardi G., Kirleis W., 2017: Bronze Age crop processing evidence in the phytoliths assemblages from the ditch and fen around Fondo Paviani, northern Italy, Vegetation History and Archaeobotany 26 (1), 5 – 24, doi: 10.1007 / s00334-016-0573-z. Dörfler W., 2017: Von der Dichte des naturnahen Waldes und den „Flaschenhälsen" der Wildpopulationen, in Lechterbeck J. and Fischer E. (eds. ), Kontrapunkte - Festschrift Manfred Rösch, Universitätsforschungen zur prähistorischen Archäologie 300, Habelt, Bonn, 95-113. Germany M., Bruelheide H., Erfmeier A., 2017: Limited tree richness effects on herb layer composition, richness and productivity in experimental forest stands, Journal of Plant Ecology 10 (1), 190 – 200, doi: 10.1093 / jpe / rtw109. Schuldt A., Bruelheide H., Buscot F., Assmann T., Erfmeier A., Klein A.-M., Ma K., Scholten T., Staab M., Wirth C., Zhang J., Wubet T., 2017: Belowground top-down and aboveground bottom-up effects structure multitrophic community relationships in a biodiverse forest, Scientific Reports 7, 4222. doi: 10.1038/s41598-017-04619-3. Eriksen B. V., Grimm S.B., Krüger S., 2017: Pioneers of the North: Transitions and Transformations in Northern Europe evidenced by High-Resolution Datasets (c. 15,000-9,500 BCE). 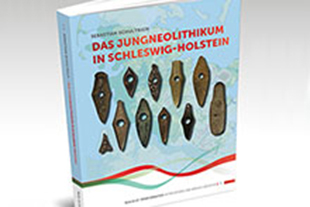 Zentrum für Baltische und Skandinavischer Archäologie Jahresbericht 2016, 80-81. Fouquet G., 2017: Getreide, Brot und Geld – offene Forschungsfragen zum Untergrombacher Bundschuh 1502 und ihre wirtschafts- und sozialgeschichtliche Einordnung und Wertung, in Vierteljahrschrift für Sozial- und Wirtschaftsgeschichte 104, 29–51. Käppel L., 2017: Heraklits Kosmologie als Praxis von Modellierung, in Fantino E., Muss U., Schubert C., Sier K. (eds. ), Heraklit im Kontext, Berlin-Boston, 213 – 232. Käppel L., 2017: The Philosophical Banquet in Greek Literature, in Hellholm D., Sänger D. (eds. ), The Eucharist – Its Origins and Contexts. Sacred Meal, Communal Meal, Table Fellowship in Late Antiquity, Early Judaism, and Early Christianity Bd. III, Tübingen, 1519 – 1527. Zelenka C., Koch R., 2017: Improved wavefront correction for coherent image restoration, Optics Express 25 (16), 18797–18816. Flachsbart F., Dose J., Gentschew L., Geismann C., Caliebe A., Knecht C., Nygaard M., Badarinarayan N., ElSharawy A., May S., Luzius A., Torres G.G., Jentzsch M., Forster M., Haesler R., Pallauf K., Lieb W., Derbois C., Galan P., Drichel D., Arlt A., Till A., Krause-Kyora B., Rimbach G., Blanché H., Deleuze J.-F., Christiansen L., Christensen K., Nothnagel M., Rosenstiel P., Schreiber S., Franke A., Sebens S., Nebel A., 2017: Identification and characterization of two functional variants in the human longevity gene FOXO 3. Nature Communications 8, 2063. Maixner F., Krause-Kyora B., Turaev D., Herbig A., Hoopmann M. R., Hallows J. L., Kusebauch U., Vigl E. E., Malfertheiner P., Megraud F., O´Sullivan N., Cipollini G., Coia V., Samadelli M., Engstrand L., Linz B., Moritz R. L., Grimm R., Krause J., Nebel A., Moodley Y., Rattei T., Zink A., 2016: The 5, 300-year-old Helicobacter pylori genome of the Iceman, Science 351, 162 – 165. Kropp Y. O., Thalheim B., 2017: Data mining design and systematic modelling. In Selected Papers of the XIX International Conference on Data Analytics and Management in Data Intensive Domains (DAMDID/RCDL 2017), CEUR Workshop Proceedings, 273–280. Makarewicz C., 2017: Sequential δ 13C and δ 18O analyses of early Holocene bovid tooth enamel: resolving vertical transhumance in Neolithic domesticated sheep and goats. Palaeogeography, Palaeoclimatology, Palaeoecology. 10.1016/j.palaeo.2017.01.028. Makarewicz C., Pederzani S., 2017: Oxygen (δ 18O) isotopic distinction between co-localized wild and domestic goats in the Gobi Desert, Mongolia: Complications to tracking mobility and seasonality in herbivores. Palaeogeography, Palaeoclimatology, Palaeoecology, 10.1016 / j.palaeo.2017.01.010. Müller J., 2017: Inheritance, population and social identities. Southeast Europe 5200 – 4300 BCE, in Gori M., Ivanova M. (eds. ), Balkan Dialogues. 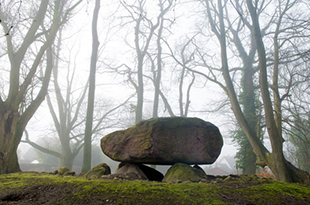 Negotiating Identity between Prehistory and the Present, Routledge, London, 156 – 168. Müller J., 2017: From the Neolithic to the Iron Age – Demography and Social Agglomeration. The Development of Centralized Control, in Fernández-Götz M., Krause D. (eds. ), Eurasia at the Dawn of History. Urbanization and Social Change. New York: Cambridge University Press, 106–124. Müller J., 2017: Archäologie in Krisengebieten: die soziale Praxis archäologischer Ausgrabungen, in O. Auge and M. Göllnitz (eds. ), Mit Forscherdrang und Abenteuerlust. 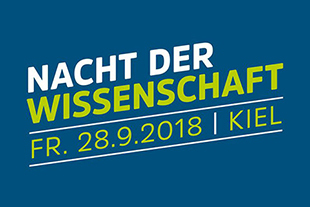 Expeditionen und Forschungsreisen Kieler Wissenschaftlerinnen und Wissenschaftler. Kieler Werkstücke. Peter Lang Verlag, Frankfurt a.M., 247-256. Müller J., Hofmann R., Brandstätter L., Ohlrau R., Videiko M., Chronology and Demography: How Many People Lived in a Mega-site?, in Müller J., Rassmann K., Videiko M. (eds. 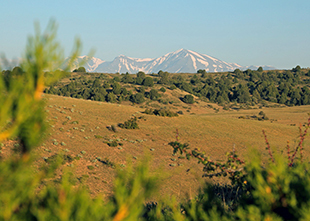 ), 2016: Trypillia Mega-Sites and European Prehistory: 4100 – 3400 BCE. Themes in Contemporary Archaeology 2, London, Routledge, 133 – 170. Müller U., 2017: Globalisierung in der Archäologie. Weltsysteme, Scapes und Netzwerke, Mitteilungsblatt der DGAMN 30, 2017, 1–16. Caliebe A., Nebel A., Makarewicz C., Krawczak M., Krause-Kyora B., 2017: Insights into early pig domestication provided by ancient DNA analysis, Science Reports 7, 44550, doi: 10.1038 / srep44550. Peterson J.M., 2017: Fitting the pieces together. Towards a linguistic prehistory of eastern-central South Asia (and beyond), Journal of South Asian Languages and Linguistics, 4 (2), 211–257. Piezonka H., Nedomolkina N., Ivanishcheva M., Kosorukova N., Kul’kova M., Meadows J., 2017: The Early and Middle Neolithic in NW Russia: Radiocarbon chronologies from the Sukhona and Onega regions. Documenta Praehistorica XL IV, 122–151. Baumgärtner S., Drupp M., Quaas M.F., 2017: Subsistence, substitutability and sustainability in consumption. Environmental and Resource Economics 67 (1), 47–66. Baumgärtner S., Drupp M., Meya J., Munz J., Quaas M.F., 2017: Income inequality and willingness to pay for environmental public goods. Journal of Environmental Economics and Management 85, 35–61. Quaas M.F., Quaas J., Rickels W., Boucher O., 2017: Are there reasons against open-ended research into solar radiation management? A model of intergenerational decision-making under uncertainty, Journal of Environmental Economics and Management 84, 1–17. Rhode-Krossa V., Moros M., Leduc G., Hinz M., Blanz T., Schneider R.R., 2017: Regional climate change and onset of farming in northern Germany and southern Scandinavia, The Holocene 1–11. doi: 10.1177/0959683617702223. Keul N., Peijnenburg K.T.C.A., Andersen N., Kitidis V., Goetze E., Schneider R.R., 2017: Pteropods are excellent recorders of surface temperature and carbonate ion concentration. Nature Scientific Reports 7, 12645. doi: 10.1038/s41598-017-11708-w. Warden L ., Moros M., Neumann T., Shennan S ., Timpson A ., Manning K., Sollai M., Wacker L ., Perner K., Häusler K., Leipe T., Zillén L., Kotilainen A., Jansen E., Schneider R.R., Oeberst R ., Arz H., Sinninghe Damsté J., 2017: Climate induced human demographic and cultural change in northern Europe during the mid-Holocene. Nature Scientific Reports 7, 15251. doi: 10.1038/s41598-017-14353-5. Stukenbrock E.H., Dutheil J.Y., 2017: Fine-Scale Recombination Maps of Fungal Plant Pathogens Reveal Dynamic Recombination Landscapes and Intragenic Hotspots, Genetics. doi: 10.1534/genetics.117.300502. Möller M., Stukenbrock E.H., 2017: Evolution and genome architecture in fungal plant pathogens, Nature Reviews Microbiology 15 (12), 756–771, PMID: 28781365. Habig M., Quade J., Stukenbrock E.H., 2017: Forward genetics approach reveals host-genotype dependent importance of accessory chromosomes in the fungal wheat pathogen Zymoseptoria tritici, mBio 8 (6), e01919-17. Butruille C., Krossa V. R., Schwab C., Weinelt M., 2017: Reconstruction of mid- to late-Holocene winter temperatures in the Skagerrak region using benthic foraminiferal Mg / Ca and O - 18, Holocene 27, 63 – 72, doi: 10.1177/0959683616652701. Müller J., 2017: Großsteingräber Grabenwerke Langhügel: Frühe Monumentalbauten Mitteleuropas. 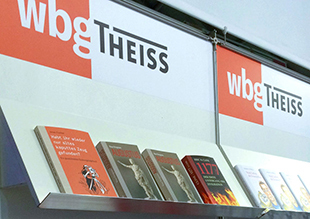 Sonderheft Archäologie in Deutschland, WBG, Darmstadt. Müller J., Hofmann R., Kirleis W., Dreibrodt S., Ohlrau R., Brandtstätter, L., Dal Corso M., Rassmann K., Burdo N., Videiko M., 2017: Maidanetske. 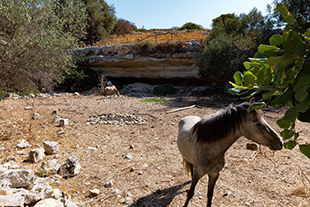 New excavations at a Trypillia mega-site. Майданецьке 2013. Нові Розкопки Великого Трипільського Поселення [English & Ukrainian language]. 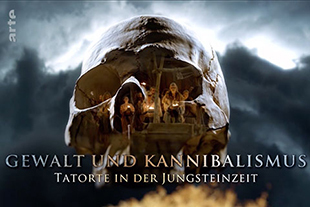 Studien zur Archäologie in Ostmitteleuropa 16. Keßler L., Ott K., 2017: Nec provident futuro tempori, sed quasi plane in diem vivant – Sustainable Business in Columella’s De Re Rustica?, in Schliephake C. (ed. ): Ecocriticism, Ecology, and the Cultures of Antiquity, Lexington Books, Lanham, 197 – 205. Robin V., Nadeau M.-J., Grootes P. M., Bork H.-R., Nelle O., 2016: Too early and too northerly: evidence of temperate trees in northern central Europe during the Younger Dryas, New Phytologist 212 (1), 259 – 268. Beckmann M., Bruelheide H., Erfmeier A., 2016: Reduced tolerance to simulated herbivory on clonal organs in alien genotypes – a multi-species experiment with native and introduced origins, Biological Invasions 18 (2), 549 – 563, doi: 10.1007 / s10530-015-1027-8. Auge O., Fouquet G., Hagen C., Kühnle N., Rabeler S., Zeilinger G., 2016: Städtische Gemeinschaft und adlige Herrschaft in der mittelalterlichen Urbanisierung ausgewählter Regionen Zentraleuropas. Ein Kieler Forschungsbericht, Jahrbuch für Regionalgeschichte 34, 15 – 49. Heron C., Shoda S., Barcons A. B., Czebreszuk J., Eley Y., Gorton M., Kirleis W., Kneisel J., Lucquin A., Müller J., Nishida Y., Son J., Craig O. E., 2016: First molecular and isotopic evidence of millet processing in prehistoric pottery vessels, Nature Scientific Reports 6, Article number: 38767, doi: 10.1038 / srep38767. Hailer U., Klinkott H., 2016: Tlos in vorhellenistischer Zeit, Lykische Studien 10 (TAS 8), 1 – 30. Klinkott H., 2016: Der Gehöftkomplex von Tașlıburun, Lykische Studien 10 (TAS 8), 45 – 68. Jordt A., Köser K., Koch R., 2016: Refractive 3 D reconstruction on underwater images, Methods in Oceanography 15 – 16, 90 – 113. Xu C., Zhang L., Cheng L., Koch R., 2016: Pose Estimation from Line Correspondences: A Complete Analysis and a Series of Solutions, IEEE Transactions on Pattern Analysis and Machine Intelligence 99, 14 pp, doi: 10.1109 / TPAMI.2016.2582162. Honeychurch W., Makarewicz C., 2016: The Archaeology of Pastoral Nomadism, Annual Review of Archaeology 45, 341 – 59. Müller U., 2016: Epochenübergänge – Schwellenzeiten. Transformationen im Mittelalter, in Kühtreiber T., Schichta G., (eds. ), Kontinuitäten, Umbrüche, Zäsuren. Die Konstruktion von Epochen in Mittelalter und früher Neuzeit in interdisziplinärer Sichtung, Universitätsverlag Winter, Tübingen, 43 – 79. Maixner F., Krause-Kyora B., Turaev D., Herbig A., Hoopmann M. R., Hallows J. L., Kusebauch U., Vigl E. E., Malfertheiner P., Megraud F., O´Sullivan N., Cipollini G., Coia V., Samadelli M., Engstrand L., Linz B., Moritz R. L., Grimm R., Krause J., Nebel A., Moodley Y., Rattei T., Zink A., 2016: The 5, 300 - year-old Helicobacter pylori genome of the Iceman, Science 351, 162 – 165. Flachsbart F., Ellinghaus D., Gentschew L., Heinsen F. A., Caliebe A., Christiansen L., Nygaard M., Christensen K., Blanché H., Deleuze J. F., Derbois C., Galan P., Büning C., Brand S., Peters A., Strauch K., Müller-Nurasyid M., Hoffmann P., Nöthen M. M., Lieb W., Franke A., Schreiber S., Nebel A., 2016: Immunochip analysis identifies association of the RAD50/IL13 region with human longevity, Aging Cell 15, 585 – 588. Ott K., 2016: On the Meaning of Eudemic Arguments for a Deep Anthropocentric Environmental Ethics, New German Critique 128, 105 – 126. Ott K., Kerschbaumer L., Köbbing J.F., Thevs N., 2016: Bringing Sustainability Down to Earth: Heihe River as a Paradigm Case of Sustainable Water Allocation, Agricultural and Environmental Ethics 29 (5), 835 – 856, doi: 10.1007 / s10806-016-9640-9. Hadenfeldt J. C., Neumann K., Bernholt S., Liu X., Parchmann I., 2016: Students’ progression in understanding the matter concept, Journal of Research in Science Teaching 53 (5), 683 – 708, doi: 10.1002 / tea.21312. Dierks P. O., Höffler T., Blankenburg J., Peters H., Parchmann I., 2016: Interest in science: A RIA‑SEC‑based analysis of students' interests, International Journal of Science Education 38 (2), 238 – 258, doi: 10.1080 / 09500693.201 6.1138337. Blankenburg J., Höffler T., Parchmann I., 2016: Fostering today what is needed tomorrow: Investigating students’ interest in science, Science Education 100 (2), 364 – 391, doi: 10.1002 / sce.21204. Piezonka H., Meadows J., Hartz S., Kostyleva E., Nedomolkina N., Ivanishcheva M., Kozorukova N., Terberger T., 2016: Stone Age pottery chronology in the northeast European forest zone: New AMS and EA-IRMS results on foodcrusts, Radiocarbon 58 (2), 267 – 289. Jordan P., Gibbs K., Hommel P., Piezonka H., Silva F., Steele J., 2016: Modelling the Diffusion of Pottery Technologies across Afro-Eurasia, Emerging Insights and Future Research Questions, Antiquity 90, 590 – 603. 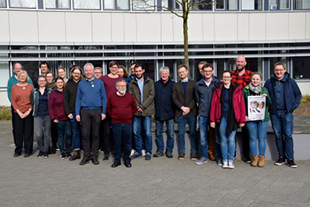 Fischer P., Wunderlich T., Rabbel W., Vött A., Willershäuser T., Baika K., Rigakou D., Metallinou G., 2016: Combined Electrical Resistivity Tomography (ERT), Direct Push Electrical Conductivity (DPEC) Logging and Coring – A New Methodological Approach in Geoarchaeological Research, Archaeological Prospection 23 (3), 213 – 228. Schefuß E., Eglinton T. I., Spencer-Jones C. L., Rullkötter J., De Pol-Holz R., Talbot H. M., Grootes P. M., Schneider R. R., 2016: Hydrologic control of carbon cycling and aged carbon discharge in the Congo River basin, Nature Geoscience 9, 687 – 690, doi: 10.1038 / NGEO2778. Bauersachs T., Schwark L., 2016: Glycerol monoalkanol diethers: a novel series of archaeal lipids detected in hydrothermal environments, Rapid Communications in Mass Spectrometry 30, 1–7 (online-first). Stukenbrock E. H., 2016: Hybridization speeds up the emergence and evolution of a new pathogen species, Nature genetics 48 (2), 113. Weiberg E., Unkel I., Kouli K., Holmgren K., Avramidis P., Bonnier A., Heymann C., 2016: The socio-environmental history of the Peloponnese during the Holocene: Towards an integrated understanding of the past, Quaternary Science Reviews 136, 40 – 65, doi: 10.1016 / j.quascirev.2015.10.042. Block S., Saltré F., Rodríguez-Rey M., Fordham D. A., Unkel I., Bradshaw C. J. A., 2016: Where to Dig for Fossils: Combining Climate-Envelope, Taphonomy and Discovery Models, PLOS ONE 11 (3), e0151090, doi: 10.1371 / journal.pone.0151090. Fouquet G., Hirschbiegel J., Rabeler S. (eds. ), 2016: Residenzstädte der Vormoderne. Umrisse eines europäischen Phänomens, Residenzforschung, NF: Stadt und Hof, 2, Thorbecke, Ostfildern, 230 pp. Haug A., Kreuz P.-A. (eds. ), 2016: Stadterfahrung als Sinneserfahrung in der Römischen Kaiserzeit, Brepols, Tournhout. Käppel L., Loehr J., in cooperation with Male G., Schleiermacher F., 2016: Platons Werke I, 1, Berlin 1804. 1817, Einleitung, Phaidros, Lysis, Protagoras, Laches, Berlin / Boston (Friedrich Schleiermacher, Kritische Gesamtausgabe KGA, Meckenstock G., Arndt A., Dierken J., Käppel L., Slenczka N., eds., Abteilung IV: Übersetzungen, Band 3), XCVIII + 1080 pp. Ott K., Voget-Kleschin L., Dierks J. (eds. ), 2016: Handbuch Umweltethik, Metzler, Stuttgart / Weimar. Fouquet G., 2016: Neue Städtischkeit – neue Staatlichkeit. Stadtvorstellungen um 1500, in Fouquet G., Hirschbiegel J., Rabeler S. (eds. ), Residenzstädte der Vormoderne. Umrisse eines europäischen Phänomens, Residenzforschung, NF: Stadt und Hof, 2, Thorbecke, Ostfildern, 15 – 42. Fouquet G., 2016: Hansischer Handel im Strukturwandel vom 15. zum 16. Jahrhundert. Zusammenfassung und Kommentar, in Hammel-Kiesow R., Selzer S. (eds. ), Hansischer Handel im Strukturwandel vom 15. Zum 16. Jahrhundert, Hansische Studien 25, Trier, 209 – 221. Fouquet G., 2016: Urbanität. Stadtbilder vom Spätmittelalter bis in die Frühe Neuzeit, in Stercken M., Schneider U. (eds. ): Urbanität. Formen der Inszenierung in Texten, Karten und Bildern, Städteforschung A 90, Böhlau, Köln-Weimar-Wien, 21 – 42. Fouquet G., 2016: Kredit in der ländlichen Gesellschaft und Wirtschaft im späten Mittelalter. Das Beispiel Ober-Ingelheim, in Andermann K., Fouquet G. (eds. ): Zins und Gült. Strukturen des ländlichen Kreditwesens in Spätmittelalter und Frühneuzeit, Kraichtaler Kolloquien 10, Bibliotheca Academica, Epfendorf, 17 – 39. Käppel L., 2016: Charis als Bindung und Bann. Vom Zauber der Musik in Pindars zwölfter pythischer Ode, in Binder C., Börm H., Diwan A. L. (eds. ), Studies in the History and Culture of the Ancient Near East and the Eastern Mediterranean, Festschrift für Josef Wiesehöfer zum 65. Geburtstag, Wellem Verlag, Duisburg, 273 – 302. Kirleis W., 2016: Stichwort Wald (Paläobotanik, Grad der Be- und Entwaldung im Vorderen Orient), in Streck M. P. (ed. ): Reallexikon der Assyriologie und Vorderasiatischen Archäologie Band 14, 7 / 8, De Gruyter, Berlin, 638 – 640. 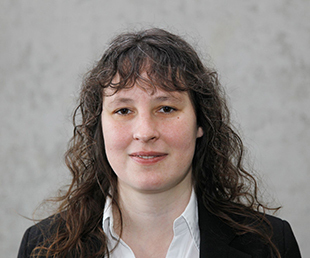 Kirleis W., Dal Corso M., 2016: Chapter 11 – Trypillian Subsistence Economy: Animal and Plant Exploitation, in Müller J., Rassmann K., Videiko M. (eds. ), Trypillia-Megasites and European Prehistory 4100 – 3400 BCE. Themes in Contemporary Archaeology 2, Routledge, London, 195 – 205. Rinne C., Fuchs K., Muhlack J., Dörfer C., Mehl A.,Nutsua M., Krause-Kyora B., 2016: Niedertiefenbach. Ein Galeriegrab der spätneolithischen Wartberggruppe südwestlich von Niedertiefenbach (Landkreis Limburg-Weilburg, Hessen), Praehistorische Zeitschrift 91, 284 – 316. Müller J., 2016: From the Neolithic to the Iron Age – Demography and Social Agglomeration: The Development of Centralized Control, in Fernandez-Götz D. K. M. (ed. ), Eurasia at the Dawn of History: Urbanization and Social Change, Cambridge University Press, Cambridge, 106 – 124. Müller U., 2016: Haithabu. Schleswig, in Gläser, M. (ed. ), Lübecker Kolloquium zur Stadtarchäologie im Hanseraum X: Vorbesiedlung, Gründung und Entwicklung, Schmidt-Römhild, Lübeck, 339 – 358. Rabbel W., Müller C., Wilken D., Berndt C., 2016: Shallow 3 D Reflection Seismics, in Beer M., Kougioumtzoglou I. A., Patelli E., Au S.-K. (eds. ), Encyclopaedia of Earthquake Engineering, Springer-Verlag, Berlin, 1 – 9, doi: 10.1007 / 978-3-642-36197-5_371-1. Larsen A., Heckmann T., Larsen J., Bork H.-R., 2015: results from a long term (~12.500 yr) sediment budget, Earth Surface Processes and Landforms 41 (4), 486 – 498. Engdawork A., Bork H.-R., 2015: Farmers’ perception of land degradation and traditional knowledge in Southern Ethiopia – resilience and stability, Land Degradation & Development 27 (6), 1552 – 1561.
von Carnap-Bornheim C., 2015 (online): The Germani and the German Provinces of Rome, in James S., Krmnicek S. (eds. ), The Oxford Handbook of the Archaeology of Roman Germany, 32 pp. von Carnap-Bornheim C., 2015 (2016): Między adaptacją a oporem? Uwagi o grobach książęcych okresu rzymskiego w Barbaricum, Wiadomości Archeologicznych 66, 183 – 200.
von Carnap-Bornheim C., Salač V., 2014 / 2015: Ritual, Communication and Politics or: what happened to the head of Publius Quinctilius Varus?, Gedenkschrift Kolendo, Palmedes 9 / 10, 33 – 48. 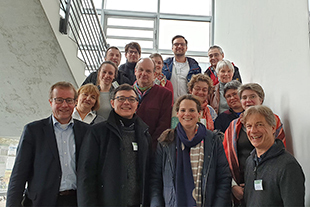 Schuldt A., Wubet T., Buscot F., Staab M., Assmann T., Böhnke-Kammerlander M., Both S., Erfmeier A., Klein A.‑M., Ma K., Pietsch K., Schultze S., Wirt C., Zhan J., Zumstein P., Bruelheide H., 2015: Multitrophic diversity in a biodiverse forest is highly nonlinear across spatial scales, Nature Communications 6: 10169, doi: 10.1038 / ncomms10169. Haug A., 2015: Das Auge und der Blick. Zum Auftreten von Zuschauern in der griechischen Bilderwelt, in Fricke B., Krass U. (eds. ), The Public in the Picture. Involving the Beholder in Antique, Islamic, Byzantine and Western Medieval and Renaissance Art, Diaphanes, Zürich, 23 – 56. Chluba C., Ge W., Lima de Miranda R., Strobel J., Kienle L., Quandt E., Wuttig M., 2015: Ultra-low fatigue shape memory alloy films, Science 348, 1004. 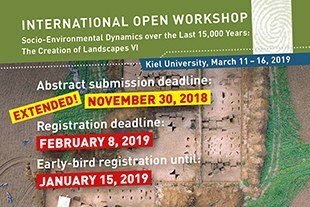 Knapp H., Nelle O., Kirleis W., 2015: Charcoal usage in medieval and modern times in the Harz Mountains Area, Central Germany: Wood selection and fast overexploitation of the woodlands, Quaternary International 366, 51 – 69, doi: 10.1016 / j.quaint.2015.01.053. Klinkott H., 2015: Die Tempel und ihr Land im achaimenidischen Kleinasien, in: Winter E., Zimmermann K. (eds. 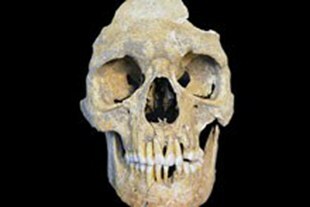 ), Zwischen Satrapen und Dynasten: Kleinasien im 4. Jahrhundert v. Chr., Asia Minor Studien, Münster, 147 – 173. Jordt A., Zelenka C., Schneider von Deimling J., Koch R., Koeser K., 2015: The Bubble Box: Towards an Automated Visual Sensor for 3D Analysis and Characterization of Marine Gas Release Sites, Sensors 15 (12), 30716 – 30735. 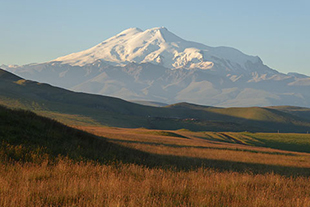 Makarewicz C., 2015: Winter is coming: Ancient seasonal pastoral nomadic practices revealed in the Xiongnu carbon (δ 13C) and nitrogen (δ 15N) isotopic record, Journal of Archaeological and Anthropological Sciences, 1 – 14, doi: 10.1007 / s12520-015-0289-5. Müller J., 2015: Movement of plants, animals, ideas and people: Southeast-European Neolithic and Chalcolithic, in Fowler C., Harding J., Hofmann D. (eds. ), The Oxford Handbook of Neolithic Europe, Oxford University Press, Oxford, 63 – 80. 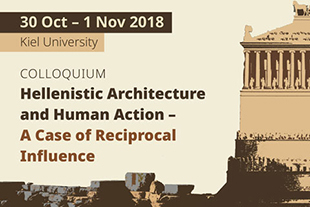 Arponen V. P. J., Müller J., Hofmann R., Furholt M., Ribeiro A., Horn C., Hinz M., 2015: Using the Capability Approach to Conceptualise Inequality in Archaeology: the Case of the Late Neolithic Bosnian Site Okolište c. 5200 – 4600 BCE, Journal of Archaeological Method and Theory 23 (2), 541 – 560, doi: 10.1007/s10816-015-9252-0. Müller U., 2015: Network of the Centres – Centres of the networks? The Relations between “Hanseatic” Medieval Towns and their Surroundings/Hinterlands, in Wilkin A., Naylor J., Keene D., Bijsterveld A.-J. (eds. ), Town and Country in Medieval North Western Europa, Brepols, Turnhout, 145 – 187. Ott K., 2015: Zur Dimension des Naturschutzes in einer Theorie starker Nachhaltigkeit, Metropolis-Verlag, Marburg. Hardmeier C., Ott K., 2015: Naturethik und biblische Schöpfungserzählung. Ein diskurstheoretischer und narrativ-hermeneutischer Brückenschlag, Kohlhammer, Stuttgart. Kampschulte L., Parchmann I., 2015: The student-curated exhibition – A new approach to getting in touch with science, LUMAT: Research and Practice in Math, Science and Technology Education 3 (4), 462 – 482. Broman K., Bernholt S., Parchmann I., 2015: Analysing Task Design and Students' Responses to Context-Based Problems Through Different Analytical Frameworks, Research in Science & Technological Education 33 (2), 143 – 161. Peterson J. M., 2015: From “finite” to “narrative” – The enclitic marker =a in Kherwarian (North Munda) and Sadri (Indo-Aryan), Journal of South Asian Languages and Linguistics Special edition 2 (2), 185 – 214. 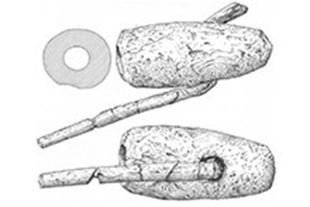 Tsydenova N., Piezonka H., 2015: The transition from the Late Paleolithic to the Initial Neolithic in the Baikal region: technological aspects of the stone industries. 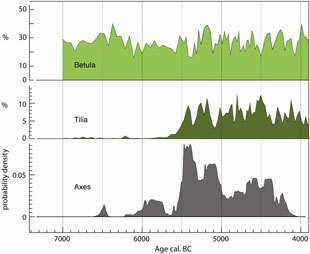 Quaternary International 355, 101 – 113. Ahrens B., Nomguunsüren G., Piezonka H. (with contributions by Becker H., Klee R., Machicek M., Frohlich B., Amgalantugs Ts. ), 2015: Das mittelalterliche Höhlengrab von Cagaan Chad – Eine Kriegerbestattung am nördlichen Rand der Wüste Gobi, Zeitschrift für Archäologie des Mittelalters 43, 59 – 126. Lade S. J., Niiranen S., Hentati-Sundberg J., Blenckner T., Boonstra W. J., Orach K., Quaas M. F., Österblom H., Schlüter M., 2015: An empirical model of the Baltic Sea reveals the importance of social dynamics for ecological regime shifts, PNAS 112, 11120 – 11125. Repschläger J., Weinelt M., Kinkel H., Andersen N., Garbe-Schönberg D., Schneider R. R., 2015: Northern source for Deglacial and Holocene deepwater composition changes in the Eastern North Atlantic Basin, Earth and Planetary Science Letters 425, 256 – 267. 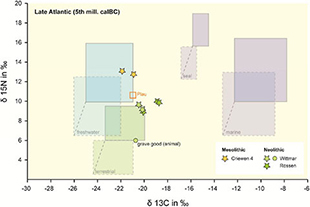 Rohde-Krossa V., Moros M., Blanz T., Jansen E., Schneider R. R., 2015: Late Holocene Baltic Sea outflow changes reconstructed using C 37 : 4 content from marine cores, Boreas 44, 81 – 90, doi: 10.1111 / bor.12093. Schotanus K., Soyer J., Connolly L., Grandabuert J., Happel P., Smith K., Freitag M., Stukenbrock E. H., 2015: Histone modifications rather than the novel regional centromeres of Zymoseptoria tritici distinguish core and accessory chromosomes, Epigenetics and Chromatin 8, 41. Poppe S., Dorsheimer L., Happel P., Stukenbrock E. H., 2015: Rapidly Evolving Genes are Key Players in Host Specialization and Virulence of the Fungal Wheat Pathogen Zymoseptoria tritici (Mycosphaerella graminicola), PLoS Pathogens 11 (7), e1005055. 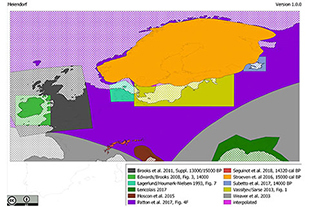 Repschläger J., Weinelt M., Kinkel H., Andersen N., Garbe-Schönberg D., Schwab C., 2015: Response of the subtropical North Atlantic surface hydrography on deglacial and Holocene AMOC changes, Paleoceanography 30, 456 – 476, doi: 10.1002 / 2014PA002637. Käppel L., Pothou, V. (eds. 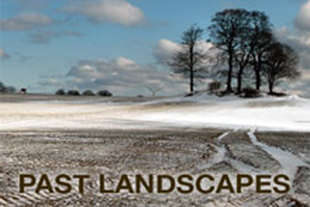 ), 2015: Human Development in Sacred Landscapes. Between Ritual Tradition, Creativity and Emotionality, Vandenhoeck & Ruprecht, Göttingen, 252 pp. Piezonka H., 2015: Jäger, Fischer, Töpfer. Wildbeuter mit früher Keramik in Nordosteuropa im 6. und 5. Jahrtausend v. Chr., Archäologie in Eurasien 30, Habelt, Bonn. Haug A., 2015: Bild und Ornament im frühen Athen, Schnell & Steiner, Regensburg. Parchmann I., Broman K., Busker M., Rudnik J., 2015: Context-based teaching and learning on school and university level, in Garcia-Martinez J., Serrano-Torregrosa E. (eds. ), Chemistry education: Best practices, opportunities and trends, Wiley-VCH, Weinheim, 259 – 278. 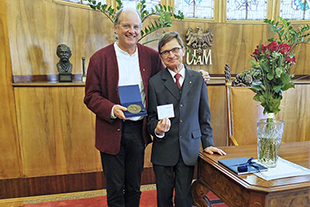 Rabbel W., Wilken D., Wunderlich T., Bödecker S., Brückner H., Byock J., von Carnap-Bornheim C., Kalmring S., Karle M., Kennecke H., Messal S., Schmidts T., Seeliger M., Segschneider M., Zori D., 2015: Geophysikalische Prospektion von Hafensituationen – Möglichkeiten, Anwendungen und Forschungsbedarf, in Schmidts T., Vučetić M. (eds. ), Interdisziplinäre Forschungen zu den Häfen von der Römischen Kaiserzeit bis zum Mittelalter in Europa, Band 1, 323 – 340.